Rope, 4-H, mountains, she even likes to swim! She has done it all and shown by children. 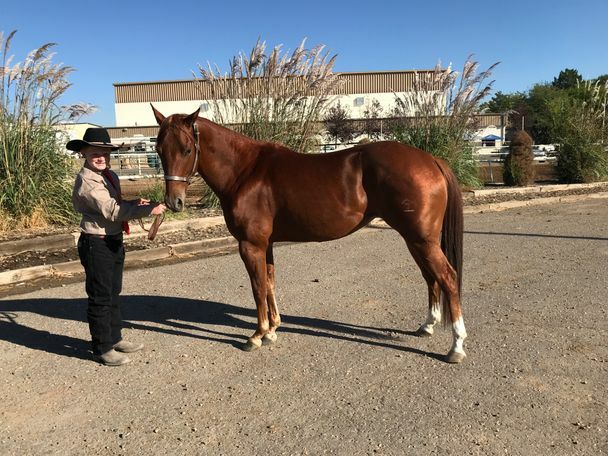 4 year old sorrel filly out of Eat Some Smoke, (NRCHA World Hackamore champion and daughter of Smokum Oak). 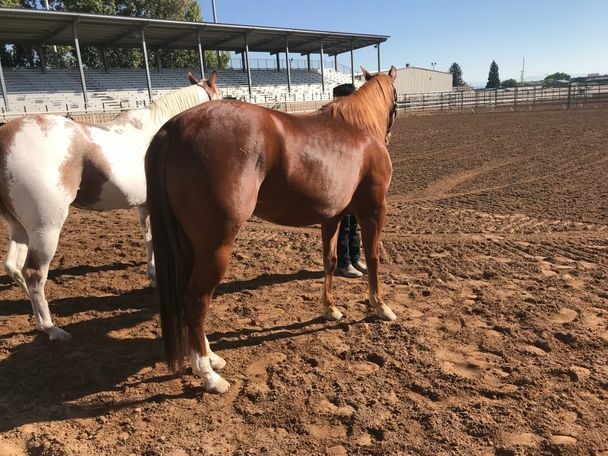 By Shiners Sailin Roan (grandson of Grays Starlight and Shining Spark).. She is roughly 14 hands, good boned and good feet. She has no quit and is still gentle as can be. Easy to catch and great with other horses. 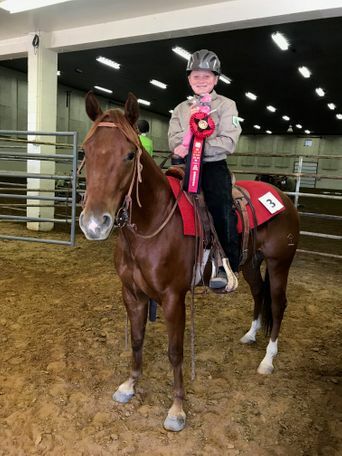 She was shown in the Junior division of 4-H in 2018, she placed in the top 5 at State Finals. She has been hauled A LOT, our kids can rope the team roping sled on her. What she lacks in speed she makes up for in stamina. 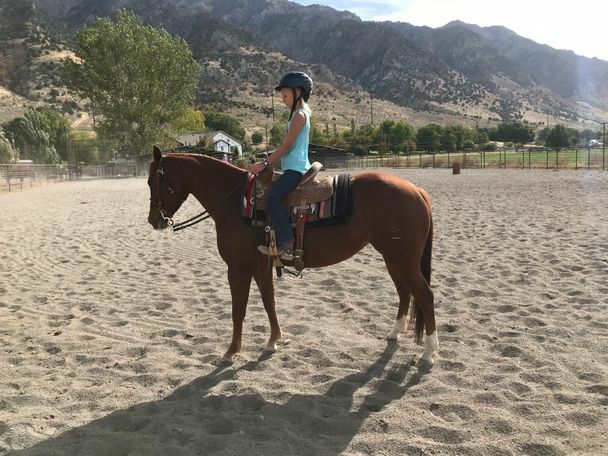 My 9 year old daughter can ride her everywhere and do anything on her. She is very cowy, we see her aspiring as a calf horse, breakaway horse, or heel horse. 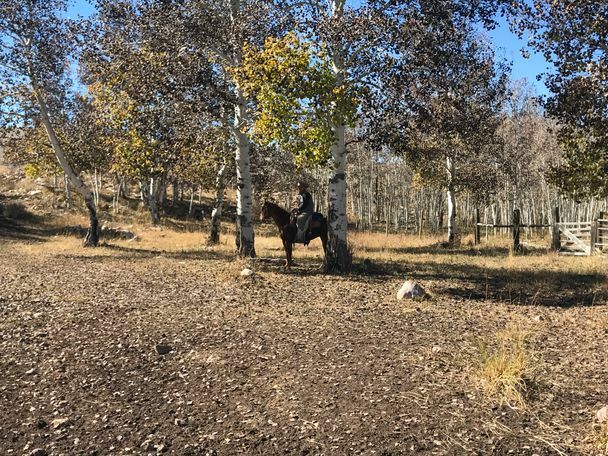 She would even be well suited for trail riding, 4-H, amateur western pleasure, or reining. 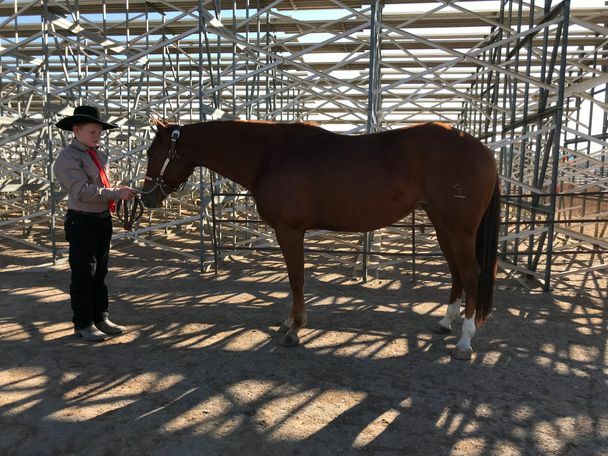 This would be a great mare for anyone looking for a shorter thicker horse. She is incredibly versatile with all the heart in the world. We have rode her in the Uintahs gathering cattle and sorting cattle, she can get the job done. She is good to haul, bath, clip and shoe.